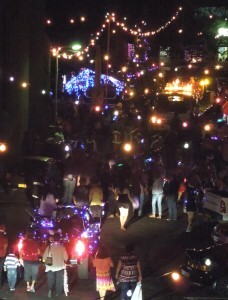 The Festival of Lights Parade organised by Pilling Primary School took place on Friday evening, 20 December. The parade began from the General Hospital and proceeded through lower Jamestown, finally congregating at the Grand Parade. This was followed by children being allowed to climb aboard Santa’s sleigh, a light show on the wall of the Rickmers building and carol singing. 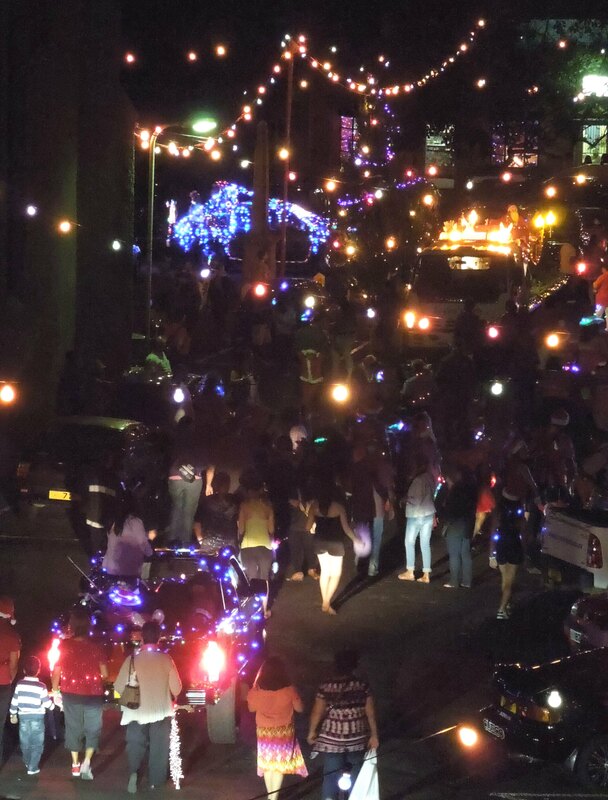 The event drew a large crowd of spectators, awaiting the arrival of light-adorned cars, trucks and quad bikes descending into Jamestown accompanied by students, teachers, parents and members of the public who joined in with their festive attire to entertain the crowd and raise money for Pilling Primary School’s PTA.